Again, my Wintery powers have enabled me to discover a story hidden from the eyes of mortal men. Behold! The DVD of the recent debate between William Lane Craig and Christopher Hitchens will be produced by Illustra Media. Illustra Media is the same company that produced professional DVDs, such as “Unlocking the Mystery of Life”, “The Privileged Planet” and the “The Case for a Creator”. All of these DVDs are available from Amazon.com! My secret source informs me that Illustra has film from the press conference, the pre and post debate interviews, as well as the whole debate itself! They are going to turn the event into a professionally-made film that will be widely disseminated! You can pre-order the Biola University version of the DVD here! The llustra Media version will take months to create, because of all the extensive editing and production that will be involved in making it. Using my mysterious Wintery powers, I have managed to discover a secret story about Bill Craig’s next debate! 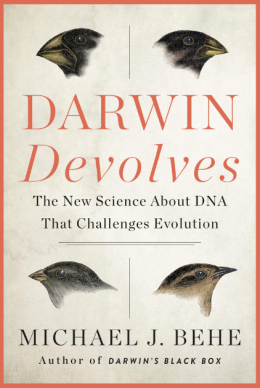 He is going to be debating the evolutionary biologist Francisco Ayala in the fall of 2009, at Indiana University. …the faculty ministry of Campus Crusade for Christ, is organizing a debate in early November on the topic of “The Viability of Intelligent Design.” It will be an evaluation, so to speak, regarding the criticisms against ID brought forth by the scientific community. This is a cutting edge discussion. The participants are evolutionary biologist, Dr. F.J. Ayala and Christian philosopher, Dr. William Lane Craig. I know that this is a Google cache, so you may not believe me, but ChristianJR4 has it up here as well. The date has not been set, but the debate itself is confirmed. My co-workers and I were extremely surprised and excited to see the topic, because Bill has never debated on this topic before. I am not even certain what he thinks about this topic! My thinking is that this is going to be a debate about philosophy of science. But wouldn’t it be amazing if Bill came out swinging on William Dembski’s explanatory filter, the origin of biological information, the cambrian explosion, the fine-tuning and other evidential concerns? Wow! His research focusses on population and evolutionary genetics, including the origin of species, genetic diversity of populations, the origin of malaria, the population structure of parasitic protozoa, and the molecular clock of evolution. He also writes about the interface between religion and science, and on philosophical issues concerning epistemology, ethics, and the philosophy of biology. He’s written 650 papers and 12 books. I think this is going to be a tough debate for Bill! UPDATE: Welcome visitors from Colliding Universes! Thanks for the link Denyse! This post is the second in a two part series. In case you missed it, here is Craig’s first argument on the kalam argument. First of all, if you’re not clear on the fine-tuning argument, click here and read Walter Bradley’s exposition of it. Dr. Walter L. Bradley (C.V. here) is the Distinguished Professor of Engineering at Baylor University. He was also a professor and department head at Texas A&M before going to Baylor. He had his Ph.D at age 24 from the University of Texas and was a tenured professor at 27. The first argument presented by Bradley in that post is the same argument that Craig used against Hitchens in their debate. (It’s Craig’s second argument in the set of five). Bradley’s version of the argument has been presented live, in-person by Bradley at dozens of universities here and abroad, in front of students and faculty. The lecture I linked to in that post is an MP3. What does it meaning to be fine-tuned for life? Life has certain minimal requirements; long-term stable source of energy, a large number of different chemical elements, an element that can serve as a hub for joining together other elements into compounds, etc. In order to meet these minimal requirements, the physical constants, (such as the gravitational constant), and the ratios between physical constants, need to be withing a narrow range of values in order to support the minimal requirements for life of any kind. Slight changes to any of the physical constants, or to the rations between the constants, will result in a universe inhospitable to life. The range of possible ranges over 70 orders of magnitude. The constants are selected by whoever creates the universe. They are not determined by physical laws. And the extreme probabilities involved required put the fine-tuning beyond the reach of chance. Although each individual selection of constants and ratios is as unlikely as any other selection, the vast majority of these possibilities do not support the minimal requirements of life of any kind. (In the same way as any hand of 5 cards that is dealt is as likely as any other, but you are overwhelmingly likely NOT to get a royal flush. In our case, a royal flush is a life-permitting universe). if the strong force constant were 2% stronger, there would be no stable hydrogen, no long-lived stars, no hydrogen containing compounds. This is because the single proton in hydrogen would want to stick to something else so badly that there would be no hydrogen left! if the strong force constant were 5% weaker, there would be no stable stars, few (if any) elements besides hydrogen. This is because you would be able to build up the nuclei of the heavier elements, which contain more than 1 proton. Life requires carbon in order to serve as the hub for complex molecules, but it also requires oxygen in order to create water. Carbon is like the hub wheel in a tinker toy set: you can bind other elements together to more complicated molecules (e.g. – “carbon-based life), but the bonds are not so tight that they can’t be broken down again later to make something else. The carbon resonance level is determined by two constants: the strong force and electromagnetic force. If you mess with these forces even slightly, you either lose the carbon or the oxygen. Either way, you’ve got no life of any conceivable kind. Yes, it’s real and it is conceded by the top-rank of atheist physicists. Let me give you a citation from the best one of all, Martin Rees. Martin Rees is an atheist and a qualified astronomer. He wrote a book called “Just Six Numbers: The Deep Forces That Shape The Universe”, (Basic Books: 2001). In it, he discusses 6 numbers that need to be fine-tuned in order to have a life-permitting universe. These six numbers constitute a ‘recipe’ for a universe. Moreover, the outcome is sensitive to their values: if any one of them were to be ‘untuned’, there would be no stars and no life. Is this tuning just a brute fact, a coincidence? Or is it the providence of a benign Creator? There are some atheists who deny the fine-tuning, but these atheists are in firm opposition to the progress of science. The more science has progressed, the more constants, ratios and quantities we have discovered that need to be fine-tuned. Science is going in a theistic direction. Next, let’s see how atheists try to account for the fine-tuning, on atheism. There are two common responses among atheists to this argument. The first is to speculate that there are actually an infinite number of other universes that are not fine-tuned, (i.e. – the gambler’s fallacy). All these other universes don’t support life. We just happen to be in the one universe is fine-tuned for life. The problem is that there is no way of directly observing these other universes and no independent evidence that they exist. Here is an excerpt from an article in Discover magazine, (which is hostile to theism and Christianity). Short of invoking a benevolent creator, many physicists see only one possible explanation: Our universe may be but one of perhaps infinitely many universes in an inconceivably vast multiverse. Most of those universes are barren, but some, like ours, have conditions suitable for life. The idea is controversial. Critics say it doesn’t even qualify as a scientific theory because the existence of other universes cannot be proved or disproved. Advocates argue that, like it or not, the multiverse may well be the only viable non­religious explanation for what is often called the “fine-tuning problem”—the baffling observation that the laws of the universe seem custom-tailored to favor the emergence of life. The second response by atheists is that the human observers that exist today, 14 billion years after the universe was created out of nothing, actually caused the fine-tuning. This solution would mean that although humans did not exist at the time the of the big bang, they are going to be able to reach back in time at some point in the future and manually fine-tune the universe. Here is an excerpt from and article in the New Scientist, (which is hostile to theism and Christianity). …maybe we should approach cosmic fine-tuning not as a problem but as a clue. Perhaps it is evidence that we somehow endow the universe with certain features by the mere act of observation… observers are creating the universe and its entire history right now. If we in some sense create the universe, it is not surprising that the universe is well suited to us. So, there are two choices for atheists. Either an infinite number of unobservable universes that are not fine-tuned, or humans go back in time at some future point and fine-tune the beginning of the universe, billions of years in the past. We need to make a decision today about how we are going to live. The evidence available today supports the fine-tuning of the universe by a supernatural mind with immense power. The progress of science has strengthened this theory against determined opposition from rival naturalistic theories. Those are the facts, and we must all choose what to do with them. Here is a paper by Walter L. Bradley that contains many more examples of the fine-tuning, and explanations for what happens when you change the constants, quantities and rations even slightly. UPDATE: Welcome readers from The Way the Ball Bounces! Thanks for the link! This post is the first in a two part series. In case you missed it, here is Craig’s second argument about fine-tuning. I’ve been watching Bill Craig debates for a long time now, ever since I did my first degree in computer science a dozen years ago. Today I thought we could all learn how to argue Craig’s first argument for God, which he used in his debate with Christopher Hitchens. Let’s go over Craig’s kalam argument in brief. The most important thing for you to realize is that nothing can be sustained in a debate unless it can be phrased as a valid argument according the rules of inference. All of Craig’s arguments can be broken down into logical propositions that use the standard laws of logical reasoning in order to force their conclusions deductively, so long as the premises are true. That means that so long as premise 1 and 2 are true, the conclusion follows necessarily. This is the same form of argument (deductive) used by Sherlock Holmes in his cases. Can the atheist deny that either or both of these premises are true? If the atheist denies this premise, then they are denying a fundamental law of natural science, namely, that matter can neither be created or destroyed. That is natural law. The universe came into being. If the atheist denies this they are denying the state of the art in modern cosmology. First, quantum mechanics is not going to save the atheist here. In QM, virtual particles come into being in a vacuum. The vacuum is sparked by a scientist. The particles exist for a period of time inversely proportional to their mass. But in the case of the big bang, there is no vacuum – there’s nothing. There is no scientist – there’s nothing. And the universe is far too massive to last 14 billion years as a virtual particle. So, insofar as atheists question these discoveries and the origin of the entire physical universe out of nothing, they are opposing the progress of science. What came into being at the moment of creation? You need to understand that the big bang theory states that space, time and matter were all created at the moment of creation. All of these things began to exist at the first moment. What can we infer about the cause? So, space, time, and matter began to exist. What could have caused them to begin to exist? Whatever causes the universe to appear is not inside of space, because there was no space causally prior to the creation event. The cause must therefore be non-physical, because physical things exist in space. Whatever causes the universe to appear is not bound by time (temporal). It never began to exist. There was no passage of time causally prior to the big bang, so the cause of the universe did not come into being. The cause existed eternally. And the cause is not material. All the matter in the universe came into being at the first moment. Whatever caused the universe to begin to exist cannot have been matter, because there was no matter causally prior to the big bang. This cause created the entire physical universe. The cause of this event is therefore supernatural, because it brings nature into being and is not inside of nature itself. The cause of the universe violates the law of conservation of matter is therefore performing a miracle. In this published research paper from the journal Astrophysics and Space Science, William Lane Craig responds to the several naturalistic attempts to evade the implications of the kalam argument. I will list each one by name and explain the main problem with each. I highly recommend you read the paper and become conversant with the arguments and evidences. We need to make a decision today about how we are going to live. The evidence available today supports the creation of the entire physical universe from nothing, caused by a supernatural mind with immense power. The progress of science has strengthened this theory against determined opposition from rival naturalistic theories. A good on this topic is the debate between William Lane Craig and atheist physicist Victor Stenger, (audio here). Also, a lecture titled “Beyond the Big Bang”, was delivered at the University of Colorado at Boulder, in front of Victor Stenger and other physicists (audio here). There is a period of Q&A in which Bill must face challengers. These are both available on DVD. More Bill Craig debates are here. Information about how to get the audio and video of the debate will be posted here, later. My written summary of the debate is here. It’s really a play-by-play of every statement made. Doug Geivett’s excellent summary of the debate is here. This is a comprehensive summary! The Pugnacious Irishman has a super summary of the debate. (He attended it) In addition, he has some very welcome comments about the general task of apologetics. As I’ve said before (third part of a three part series. To get the whole of my presentation, you need to read the first two parts as well. ), this is a gigantic red herring, and confuses epistemology with metaphysics/ontology. Craig was asking, “how can an atheist ground his moral beliefs?” not “how can an atheist behave morally without believing in God?” Those are two totally different questions. In the absence of a good God that grounds morality, well, the atheist might think he’s behaving morally, but he’s just attaching words without meaning to his actions..actually, the same goes for the theist! Without God, all anyone ever does is act in ways we call morality, but our words are meaningless. The moral sense that we have (that Hitchens claims develops via evolution) is merely an illusion that aids our survival…that’s what you get if you follow the atheistic premises where they lead. The highlight of the debate for me was when Craig made an evangelistic appeal to both Hitchens and the non believers in the audience. Of course, Hitchens wasn’t just gonna bow the knee right there, but this underscores a proper view of apologetics: it is an evangelistic, missionary enterprise. First, I think anyone watching tonight could see Craig’s character and fervent love for the Lord. I’ve seen the same for many Christian philosophers and apologists on the intellectual front lines. They are winsome and attractive ambassadors, as Koukl says. This puts that last objection (it’s all head and no heart) in it’s place. Secondly, *nothing* in isolation can win someone to Christ without the Spirit, not even love or acts of service. But people are won over to Christ with arguments all the time when they are used by the Holy Spirit. With the Holy Spirit’s help, they are quite potent. Third, it’s not just arguing about words. It is rooted in care for the lost. Paul did it. Jesus did it. The early church fathers did it. Craig showed it tonight. Of course, if someone doesn’t care for the lost, he won’t care about any of this either…but that’s another discussion. I would like to see TPI post something about that “other discussion”! Check out my analysis of the 11 arguments Hitchens made in his opening speech in his debate with Frank Turek. You can also watch or listen to a preview debate that was held in Dallas recently between Craig, Hitchens, Lee Strobel and some other people. Biola also officially live-blogged the debate here. Some book reviews of Hitchens’ book by Melinda Penner and Doug Groothuis are here. For more on the arguments used in the debate, see my index of arguments here. UPDATE: Looks like this has been picked up by Breitbart here. BY THE WAY: If you enjoyed Bill Craig’s performance in his debate, why not stop by his Reasonable Faith web site and leave him a donation? He won that debate through months and months of preparation. So, when you fund his research, you really are helping him to go out there and do his job well. Won’t you consider helping Bill in his work?